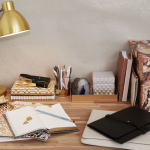 Exclusive @dwellstudio #modern office collection to launch at Staples in-store & online June 6th. FRAMINGHAM, Mass.--(BUSINESS WIRE)--Staples Inc. (NASDAQ: SPLS) today announced a collaboration with DwellStudio, a design house for fashion-forward, modern furnishings. The two brands will debut an exclusive 40-piece collection of modern office organization pieces launching in-stores and on Staples.com on June 6th. 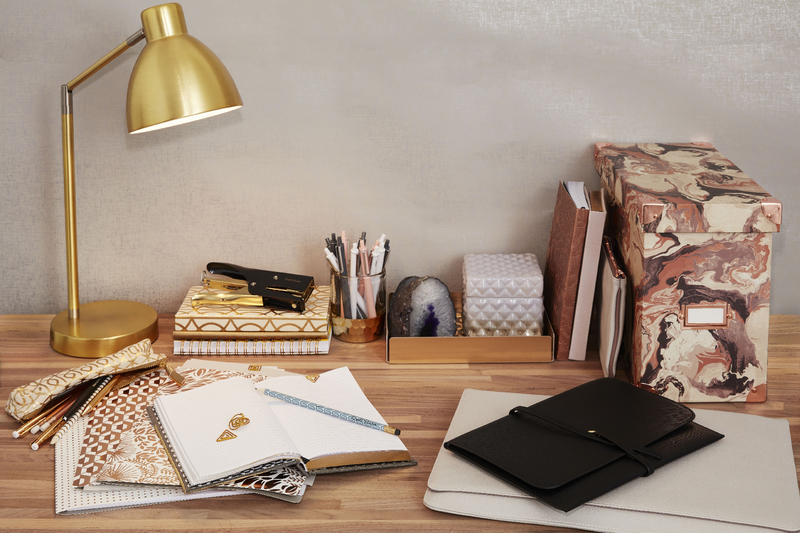 This marks the first time DwellStudio has brought their iconic designs to life for office products. The new products feature a range of bold colors and unique patterns on everything from fashion pencils and metallic-patterned file folders, to aluminum nesting trays for desktop organization and tech travel pieces. Items in the collection range from $2.99 to $34.99. Shop the exclusive DwellStudio collection including striking notebooks, accessory pouches and a laptop clutch at Staples stores or on Staples.com starting June 6. Founded in 2000, DwellStudio is a design house with a decidedly modern vibe. Spanning furniture, bedding, and décor – with styles for baby and children, too – the brand’s products are united by a common philosophy: the Art of the Mix. From their best-selling signature prints to statement accents, each piece is crafted to mix effortlessly into the home. With offices in New York and Boston, DwellStudio is part of the Wayfair Inc. (NYSE: W) brand portfolio. Visit www.dwellstudio.com to learn more.